As teeth develop, pits, fissures or deep grooves form on the surface of the tooth. The pits and fissures are the most cavity-prone areas, especially in children. Your dentist in Arlington Heights, IL will carefully evaluate which teeth would benefit from dental sealants. Dental sealants are a preventive, non-invasive dental procedure that helps to prevent cavities near Arlington Heights, IL. The sealant is a tough plastic material that is designed to bond with the tooth’s enamel and forms a shield against decay. Sealants are tooth-colored or white, so they are barely visible. When children are around six years old, they will start to get their first adult molars in the back of their mouth. This makes it very difficult to keep these precious adult teeth clean. Liquid dental sealants are painted on the teeth to fill in all of the hard-to-reach crevices, so food particles can’t enter and start a cavity. Sealants can protect teeth from cavity-causing bacteria for many years. What are pits and fissures? Pits and fissures are the most cavity-prone areas, accounting for over 50 percent of cavities among children. The deep grooves on the top of the tooth are called fissures. The point where these grooves cross each other, are called pits. Pits and fissures are a normal part of our tooth’s anatomy and come in different shapes and sizes. These deep areas are often the perfect environment to harbor and trap food and plaque. Toothbrush bristles are often too wide to clean these tiny areas. As the food and bacteria collect and build up, a cavity is likely to develop. The enamel is frequently weaker and thinner in the pits and fissures, which increases the chance of a cavity. Once decay has formed and a cavity is detected, Dr. Ivan must repair it and a dental sealant can no longer be placed. Dr. Ivan will carefully examine the tooth, before a dental sealant is applied. Sealants are usually applied to newly erupted permanent posterior teeth and occasionally primary or “baby” teeth. Since dental caries are the most common chronic disease of children, sealants are applied to a child’s tooth, as soon as possible, before a cavity can develop. First, the teeth are thoroughly cleaned and then isolated, by placing a barrier of some type. This prevents the other teeth and tongue from coming into contact with the sealant. A thick liquid called etch is applied to the surface of the tooth, where the sealant will be placed. Etching is a process that helps the sealant bond more effectively to the tooth. After etching, the teeth are rinsed and dried. A primer is often applied as a liquid, which allows for better adhesion. When the tooth is completely dry, a sealant is applied to the tooth with a tiny brush or syringe-like applicator. The sealant flows deep into the pits and fissures. The sealant may harden with air exposure or by exposure to ultraviolet light. Children often benefit from being told how the sealants will be “painted” on their tooth to protect them from plaque and cavities. They often better understand the process and are more prepared to listen carefully to the instructions of the dental professionals, if they are informed. Sealants are typically long lasting. However, they need to be evaluated by your dentist at Dental Clinique. The sealant can remain on the tooth for many years, if proper care is taken. Some hard foods, such as hard candy, chewing ice, or sticky foods, such as taffy, may dislodge a sealant and should be avoided. If the sealant becomes dislodged, your dental professional in Arlington Heights, IL will make sure the tooth is cavity free and then re-apply the sealant. Sealants are effective in preventing cavities on the chewing surface of a tooth, as long as they are intact. Keeping all of your maintenance appointments with your dentist in Arlington Heights, IL can ensure the longevity of the dental sealants. Remember that cavities also commonly occur on other surfaces of the tooth that aren't covered by a sealant, such as in between the teeth! Proper brushing and flossing are imperative to protect the entire tooth from bacteria and cavities. Many insurance companies cover the cost of dental sealants. Check with your dental insurance carrier to determine, if you have dental sealant coverage. Avoid eating a lot of sugary and sticky foods. The longer food stays on the tooth, the more acids will be produced. As a result, sugary and sticky foods can cause more damage. Even healthy snacks, such as raisins and dried fruits, can cause tooth decay, if they are left on the surface of the tooth for a long period of time. Cut down on snacking between meals. This will help prevent plaque from producing acids and will reduce the time that your teeth are exposed to harmful acids. Consume more calcium. Calcium helps to strengthen the hard, outer layer (the enamel) of the tooth. Drink plenty of water! Water and saliva clean the mouth, by washing away food and debris. Saliva supplies high levels of calcium, fluoride and phosphate to the surface of the tooth. Visit your dentist at least twice a year. Diagnosing decay in its early stage, can prevent unnecessary invasive treatments. 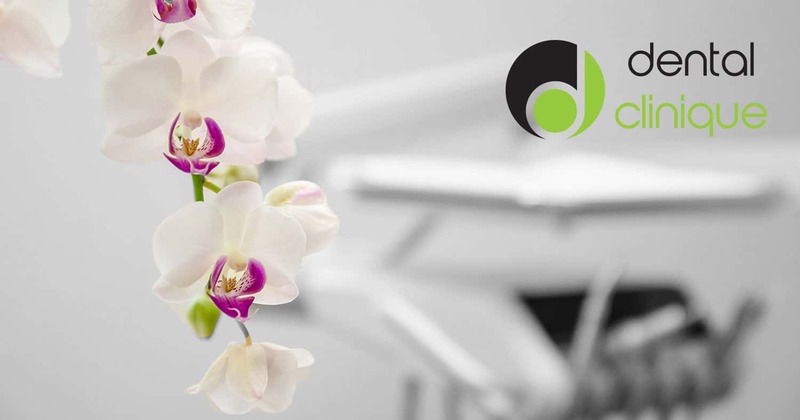 Contact Dental Clinique to schedule your next appointment today!